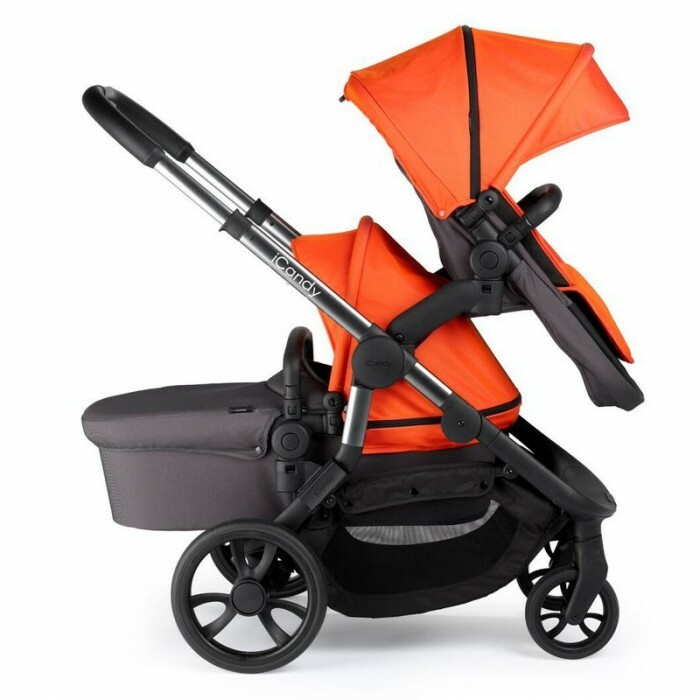 The brand new iCandy Orange offers unparalleled functionality, which is infused with flawless style and rich textures. It features high attention to detail, along with eye catching iCandy branding, and minimal rivets on display, creating a sleek and desirable design. 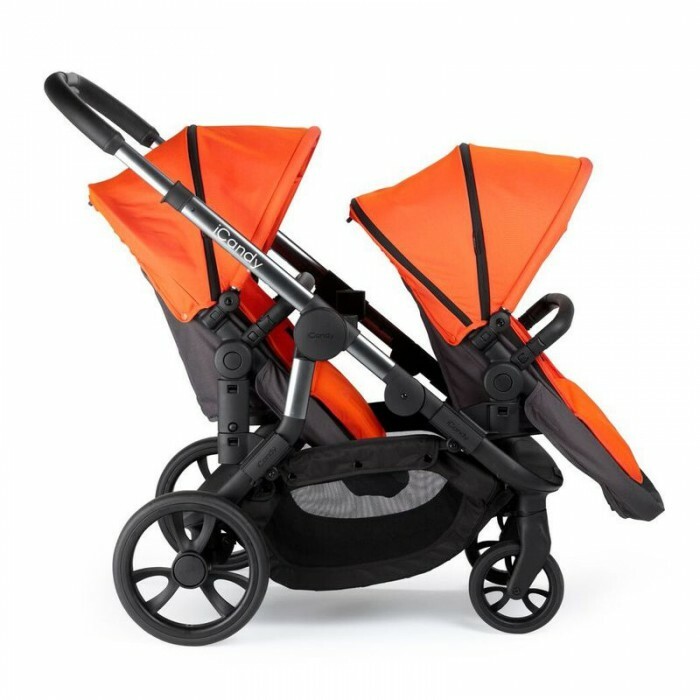 With its lightweight chassis, gigantic basket, and ability to upgrade into a double or twin pushchair, the Orange can cater to any parent’s needs. 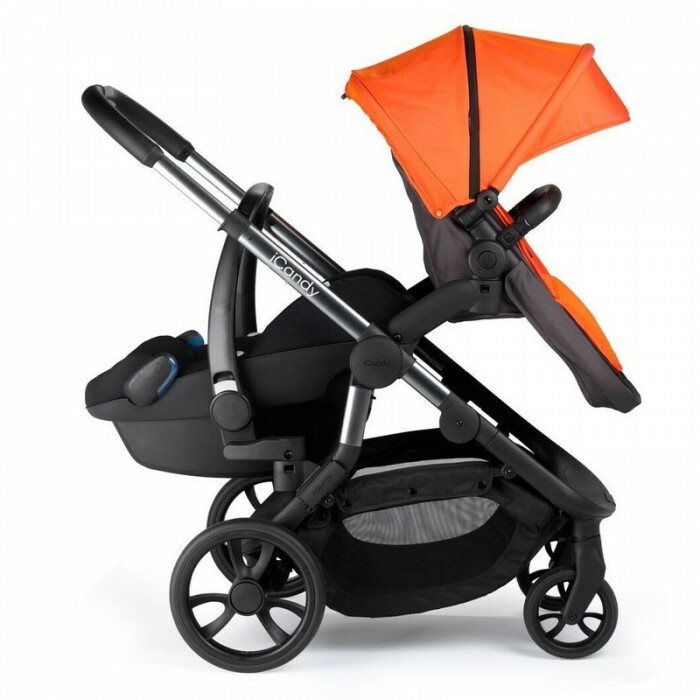 Allowing over 30 unique configurations and combinations to provide ultimate flexibility-something no other pushchair on the market can currently match. 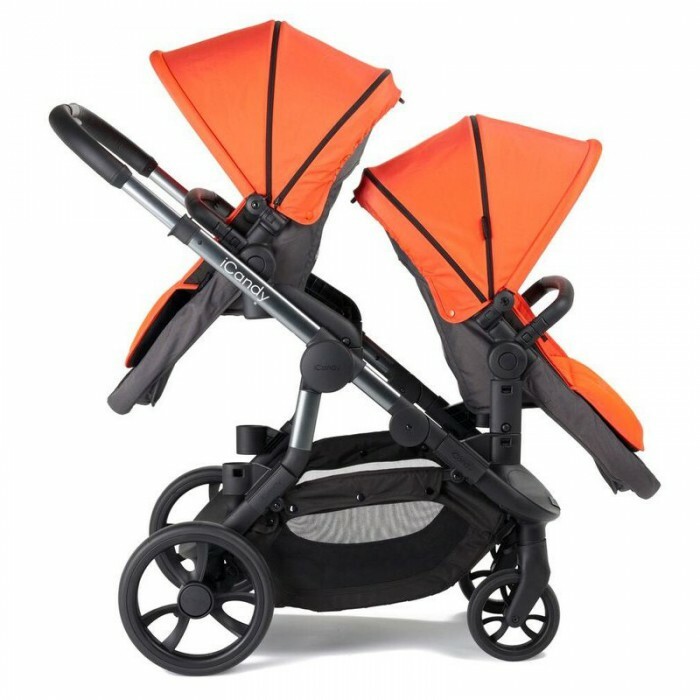 Another feature invented for the Orange is the addition of unique iCandy riser adapters. 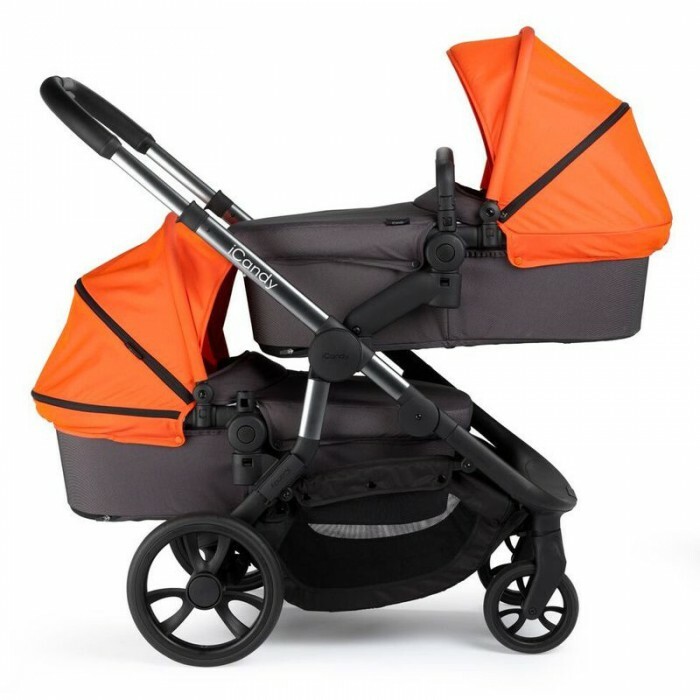 The risers can be used to create the first iCandy ‘cinema’ seating design, meaning a parent can maintain all important eye contact with both of their children when in double mode. Reversing the seats also makes it possible to put children into any desired position, parent facing and world facing.